Many who are charged with a DUI fail to appear in court. This not only angers the judge who may later pass judgment, but it can put those charged with a DUI at risk for other misdemeanor charges. With multiple court dates to track, it is understandable that those charged with a DUI may miss a date or two. This is why hiring a DUI attorney is so important. With an attorney to advocate for your rights and present a strong defense, drivers charged with a DUI have a better chance to make the court date and won’t attract additional punishment. If you don’t have an attorney and skip a court date, you put yourself at additional risk. Judges can levy two distinct charges: failure to appear, and contempt of court. Failure to appear in court brings with it misdemeanor charges and can bring with it a driver’s license suspension. Additionally, if the Judge feels the skipped trial date is serious enough, you may be charged with contempt of court. This is also a non-felony crime, however if you have failed to appear at multiple court dates and have been held in contempt before, the consequences could be dire. An arrest warrant may be issued and you may face jail time if you were released on bond. Work with a Columbus, Ohio DUI attorney to learn more about the importance of keeping your appointments with the court to keep out of additional trouble. A judge will issue an arrest warrant to search out those missing court dates and bring them before the court. Such arrest warrants are referred to as bench warrants as the judge issues them from his or her bench at court. Once issued, law enforcement officers will treat the arrest warrant just like any other warrant and search out the offender and bring them before the court. To avoid the embarrassment of an arrest, it is important to respond to any summons and stay in constant contact with your Columbus, Ohio DUI attorney. Rather than run from a DUI charge, come to court prepared with a strong legal team beside you. 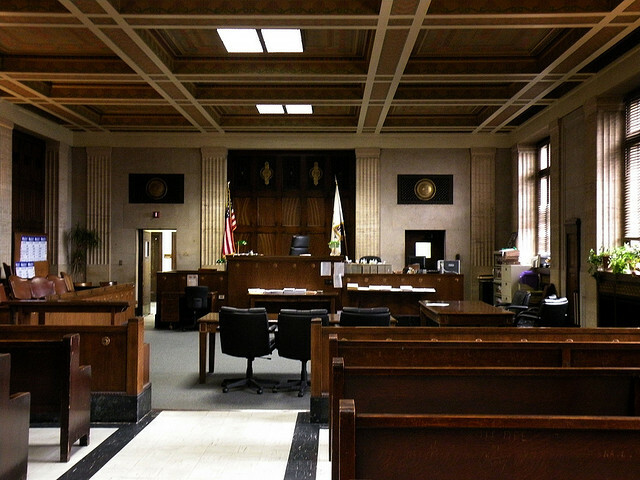 Columbus, Ohio DUI lawyers with the requisite experience and an understanding of the court system can advocate for your rights and present a strong defense on your behalf. This saves the need to run from your court date and also protects you from additional punishments. Don’t risk an additional driver’s license suspension and arrest. Work with a professional who understands the DUI hearing process and will appear on your behalf or remind you of the court date should you need to appear before the Judge. If you were recently arrested and have questions about your responsibilities and court appearances, contact a Columbus, Ohio DUI lawyer today! Call The Maher Law Firm for a free consultation and learn more about how we will advocate for your rights in court. How your case is handled is important, and you will work directly with Columbus, Ohio DUI attorney Colin Maher. Contact us today by calling (614) 205-2208 or contact us online to learn more.